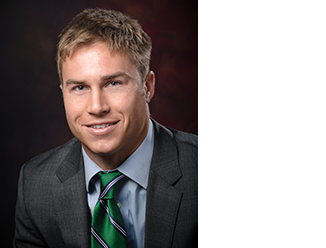 Stephen Bartram is an Associate in CBRE’s Industrial Services and Real Estate Global Supply Chain Practice Group, based in Schaumburg. The group specializes in providing solutions aimed at reducing costs, enhancing profitability, stimulating productivity and increasing supply chain property value. Stephen focuses on assisting corporate users of industrial space to help optimize their distribution network potential through local market knowledge and reverse site selection. He is responsible for providing real estate brokerage and advisory services for private, corporate and institutional clients in the acquisition, disposition and development of industrial real estate. Stephen specializes in business development and financial analyses. He excels in negotiating and structuring transactions on behalf of industrial users and owners. Prior to joining CBRE, Stephen spent four years at Coyote Logistics, one of the largest third-party logistics firms in America. Stephen served as a Business Development Representative, where he developed and managed a portfolio, growing accounts throughout the Midwest.